I walked into the Maine woods in 1965 as a forester and photographer, and spent the next 50 years exploring and appreciating these woods. Maine’s natural resources contribute to our rural quality of life, tourism and forestry economies. 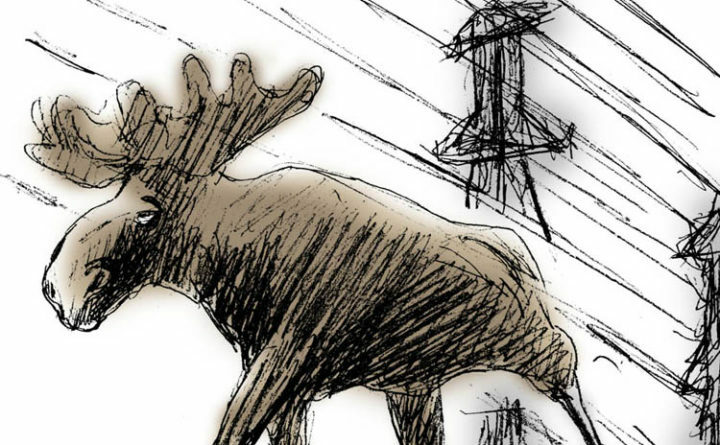 Central Maine Power’s proposal to construct a new 53-mile corridor, as part of a larger 145-mile transmission line, through the woods of the Upper Moose River Basin will degrade these treasured natural assets. Yet, CMP and Hydro-Quebec expects us to embrace this project’s extensive visual and environmental impacts, all in the name of delivering Canadian hydro power to Massachusetts? I recall a conversation I had some time ago with a colleague, Peter Lammert, prior to his retirement from the Maine Forest Service. I asked him what he thought would be the biggest threat to the future of the Maine woods. His response: “More and more powerlines.” They carve up the woods, fragment forest cover and wildlife habitat, and degrade one-of-a-kind magnificent scenic viewsheds. During a 32-year career with the University of Maine Cooperative Extension, I participated in county and regional nature-based tourism initiatives. Maine’s forested landscapes are full of lakes, streams, rivers and mountains. They are our natural golden eggs, drawing people to Maine’s remote regions and rural communities. Tourists are not coming here to view power lines and other industrial-scale intrusions. CMP’s line will chop up a vast and beautiful forest landscape, eroding and degrading remote scenic viewsheds like Attean View, Coburn and Sally mountains, Greenlaw Cliffs, The Notch, and No. 5 and Tumbledown mountains, all in the Upper Moose River Basin. There will be similar impacts at the Kennebec Gorge and Lake Moxie, adjacent to Bald Mountain and the Appalachian Trail. My photographs of this unique, scenic region speak to the permanent fragmentation that this proposal will have on the forest environment and natural beauty found here, all in the service of CMP feeding Massachusetts’ hunger for Quebec hydro power. CMP, Hydro-Quebec and Massachusetts insist this is from sustainable hydropower. But think about the source of this power — a massive impoundment the size of the state of New York east of James Bay. Do we dare speak to the uncomfortable truth that this power comes at a very high ethical and environmental cost, as Hydro-Quebec dammed, diverted and destroyed life-sustaining rivers that had sustained First Nations people in Quebec? Google Earth exposes this destructive footprint. The Rupert, Eastmain, La Grande, Caniapiscau, Great Whale and other free flowing rivers are all gone, dead. Calling this power “sustainable” is misleading. Opposing this line is not about opposing clean energy sources, including locally generated solar, which CMP and the larger electric industry have been trying to squash, state by state. And what do they fear? That the public is waking up to the fact that we can save some bucks on other alternatives while protecting our larger environment by stepping off the antiquated coal, oil, gas, hydro grid. We already have enough power lines and wind farms in this region. I say enough is enough. After CMP’s power line paves the way, what’s next? An adjacent pipeline? An East-West Highway? Yet another expanded power line? The impacts from these possibilities will incrementally destroy the value of the natural golden eggs that nourish our quality of life, valued irreplaceable assets that feed our rural forestry, tourism and small-business economy. We need to protect the values provided by our environment that support our rural communities, values that feed small businesses, forestry and tourism, and the unbroken scenic beauty that feeds our hearts and souls on a quiet night, by the edge of a lake, on a starlit night. To do nothing to protect these natural assets and our legacy of community-based forestry, tourism and environmental protection is to let CMP and Hydro-Quebec “pave paradise and put up a power line” in one of the last unique, remote scenic viewsheds in Maine, the Upper Moose River Basin. Our neighbors in New Hampshire gave Hydro-Quebec’s Northern Pass power line a “no pass.” I hope Maine reaches the same decision. Roger Merchant is a forester and photographer. He lives in Glenburn.